On February 21, the Masonry Institute of Iowa (MII) recognized five architectural projects in Iowa as this year’s recipients of MII’s Appreciation Award. These designs were recognized because of their use of masonry. Two local banks – Central Bank and Charter Bank – were recognized. 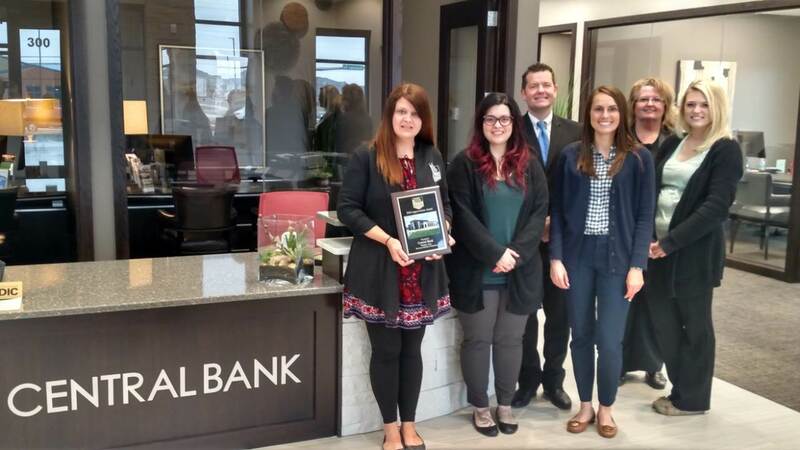 Central Bank, located at 300 Hickman Rd, Waukee, was one of the 2018 recipients. Designed by Simonson & Associates in Des Moines, this design utilizes brick and stone on its façade. “This design is a good example of masonry to incorporate into the growing city of Waukee. It is a very striking design with its contrast of color in the design by using both with stone and brick,” said Jenny Stephenson, association director for the Masonry Institute of Iowa. Charter Bank, located at 2905 SW Oralabor Rd, Ankeny, IA 50023, was one of the 2018 recipients. Designed by CMBA Architects in Des Moines, this project utilized brick and stone on its façade and used Forrest and Associate as the mason contractor. “This project was chosen because of its superior masonry workmanship. It is a true example of masonry and as a bank, a long standing institution in any community, this building will be a part of Ankeny for years to come,” said Stephenson. Criteria for the awards include contributions to the masonry industry, community impact, visual appearance, construction detailing and workmanship quality. Both the architectural firm and the owners were recognized with plaques. The MII Appreciation Awards are awarded annually at the MII Annual Meeting. To receive this award, projects must utilize MII member contractors or material suppliers. Nominations are accepted by MII members and must have significant masonry assemblies, landscaping or segmental retaining walls. The Masonry Institute of Iowa is the only statewide association with the goal to promote masonry. Founded in 1975, MII’s membership is composed of Masonry Contractors, Brick Manufacturers, Block Manufacturers, Stone Manufacturers, Brick & Block & Stone Distributors, and Suppliers from all aspects of the Masonry Industry.